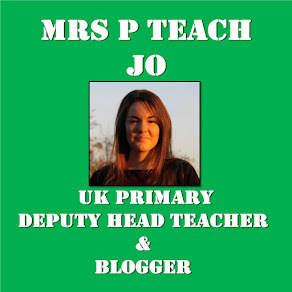 Mrs P Teach: Why do teachers share resources for free? Why do teachers share resources for free? I saw an idea shared on Twitter that I fancied doing in my classroom. Twitter is a generous, collaborative network as a teacher (most of the time!) so I was sure I could find a copy of the basic outline of the resource somewhere online. Yesterday I went looking for it. I did find it. On TES resources. With a cost of £2. Being sold by the person who tweeted about it. Last year, I found someone selling my own resources on TES for £1-£3 per item. Thankfully, after a quick email, those resources were removed (or reverted to have no cost). 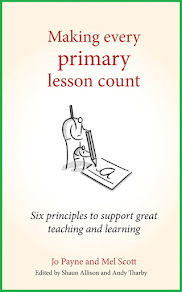 I remembered this, so yesterday searched "Read with RIC" on TES Resources. There were RIC activities being sold at £2+ per item when there are over 50 free examples here (£100+ worth) and many more are freely shared by other teacher-bloggers. As well as the RIC activities on TES, there are also two versions of Book Bingo sold at £2 each here and here. My version is available for free, including editable downloads, on this blog post. This whole idea of teachers making a resource for their classroom and then selling it online makes me feel really uncomfortable. The main reason for this is that so many teachers are sharing the resources they use in their classroom, for free. James Theo outlines the other reasons in his very succinct blog post. So why do so many people share things for free? Firstly, I think it should be in a teacher's nature to help people. Every teacher has used so many resources (ideas/activities/displays etc) that they were able to access for free, either online or through colleagues. Quite simply, we're all in this together. So we may as well help those who have helped us. These resources, already created for a teacher's own classroom, have caused no extra work, over and above what they would normally do. Therefore, the work requires no extra payment, over and above what they normally earn as their teacher salary. Saying that, there are many teachers who have create resources over and above what they use in their own classroom and have provided them without cost to other teachers. Secondly, many resources are created as an amalgamation of many people's ideas. For example, the idea for RIC activities came about in a team meeting with 3 teachers, the logos are Screen Beans which were originally part of the Microsoft package and they are based on media (images, characters, sounds etc) which I did not create. I would much rather share something for free which is so far from being entirely "mine". Many teachers are very unaware of copyright terms so it's easier to share something for free than ask for money and be breaking copyright law. (Please note: you can also be breaking copyright law when sharing something for free with copyrighted material). When I started collating resources on this site, I looked up the copyright terms for the Microsoft images I use and it was clear that you could use them on items which had no cost. It was unclear how to go about getting permission to use them on paid items. In the same way, it is easier to share something for free than be earning an income through sites like TES and having to complete a tax return to declare it and pay tax on it. There are so many teachers sharing amazing resources for free out there. Click here to view a list of just a few that people on Twitter recommend. Needless to say, I didn't purchase the original resource I was after. Hi Jo. Do you sell any resources that you have made?